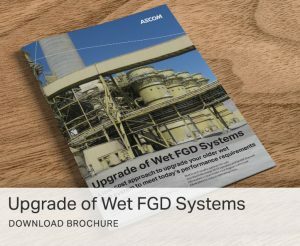 AECOM has been an FGD upgrade industry leader since the early 1970s, working with utilities to improve the operation and performance of their FGD systems. As the power industry faces the challenge of increasingly stringent environmental regulations, flue gas desulfurization (FGD) systems must operate at peak efficiency and reliability, and must provide maximum and sustainable performance to meet current and future emissions requirements. AECOM has upgraded more than 52,000 MW of generating capacity in the U.S. alone. Because of this experience, we understand how to upgrade an older FGD system and improve its performance and reliability despite the design and operation limitations inherent in that system.